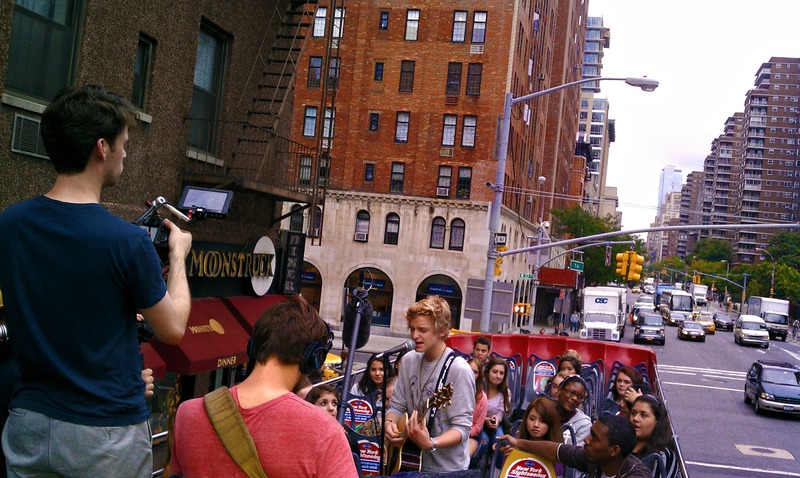 September 28, 2011, Australian pop singer Cody Simpson traveled to New York City to film an MTV segment on our bus! 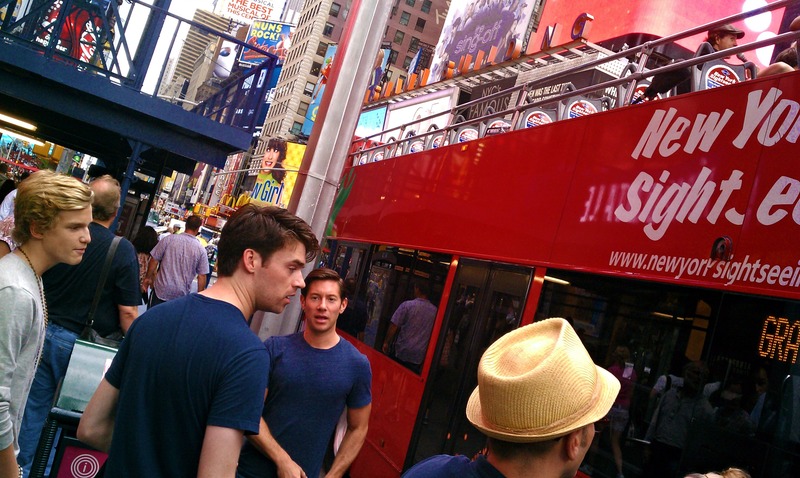 We waited anxiously in the heart of Times Square for Simpson’s arrival. When Simpson and his crew arrived, we all hopped on-board and drove down to the Moonstruck Diner on the corner of West 23rd Street and 9th Avenue. 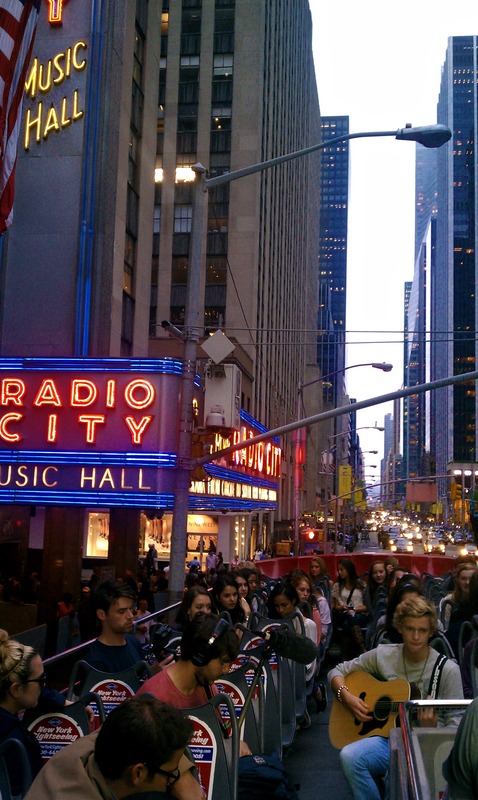 Tons of Cody Simpson fans were already there, waiting anxiously to catch a glimpse of Simpson himself! Simpson hopped-off to sign autographs and take pictures with his excited fans. 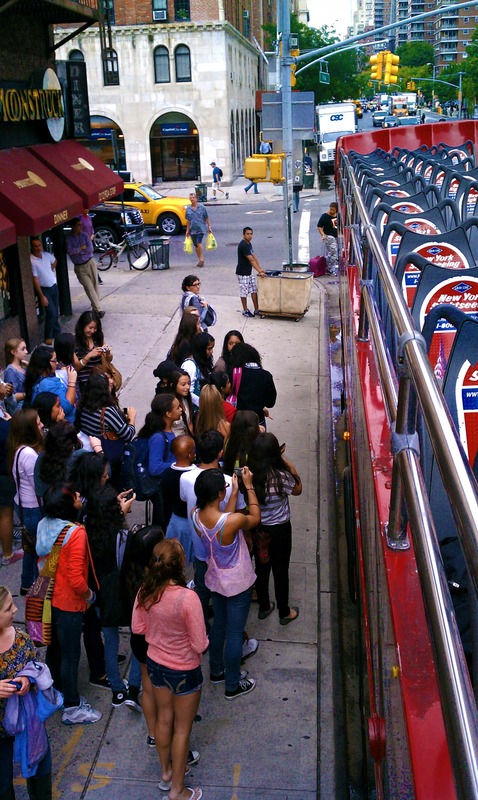 Next, 12 lucky fans had the chance to board Simpson’s bus and tour the city for his exclusive MTV segment. He even serenaded everyone on the bus! Click here to listen to Cody Simpson’s songs on iTunes. We has so much fun during the “Ride of Fame“ with Marc Anthony and we’re excited to announce our next inductee! 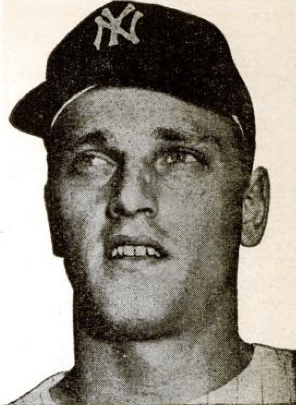 September 24th, we will honor Yankees legend, Roger Maris, on the 50th anniversary of his then-Major League record breaking 61st home run in 1961, as the next “Ride of Fame” dedicatee. The event will take place Saturday, 9/24/2011 at 12:45pm at Yankees Stadium. Maris’ wife and children as well as his former Yankees teammates and the devoted fan that caught the 61st home run ball, will all be in attendance to unveil the Gray Line New York bus with Roger’s likeness. The “Ride of Fame” campaign recognizes and honors leading New Yorkers, whom we identify as exemplary community figures by bestowing a bus in our fleet to each dedicatee. Click here to learn about our previous inductees. 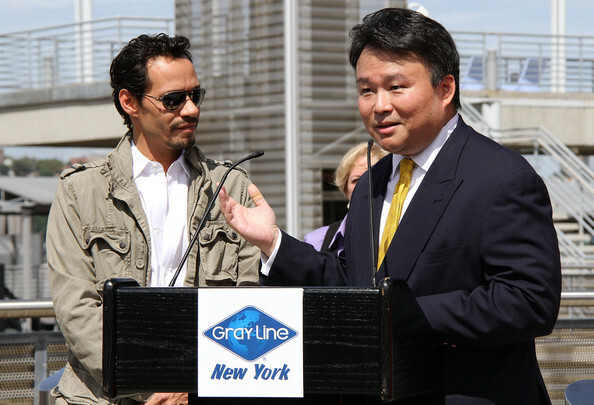 September 8, 2011, Singer & Fashion Designer, Marc Anthony was inducted into the Gray Line New York “Ride of Fame”. The “Ride of Fame“ campaign honors and recognizes leading New Yorkers who have represented the city positively in all of his or her endeavors. Marc Anthony was born and raised in New York City and is the top selling salsa artist of all time! Did you know Anthony has sold more than 30 million albums worldwide? Marc Anthony, the September "Ride of Fame" Inductee. Forty fans won an exciting contest held on the Gray Line New York Facebook Page and official Marc Anthony Twitter account where they received EXCLUSIVE VIP access on the top deck during the event. 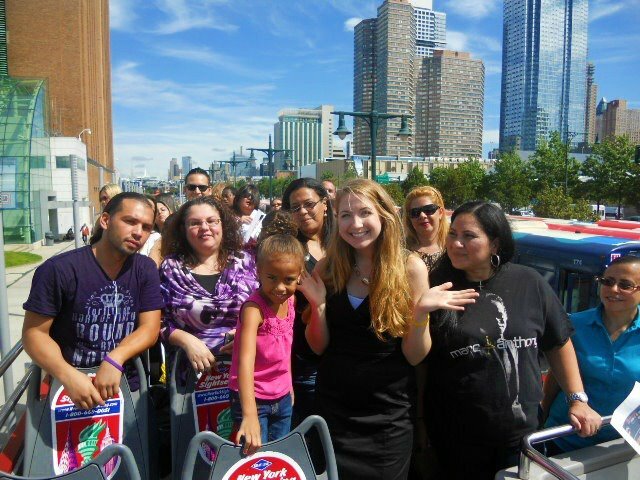 Shannon, the Gray Line New York Social Media Specialist with Marc Anthony's 40 Ride of Fame VIPs. The entire event was so much fun and we definitely picked Marc Anthony’s top 40 fans as our VIPs! Univision interviewing a Ride of Fame VIP. VIPs watching the Ride of Fame Induction from the top-deck. After the induction ceremony, Anthony hopped on board his new double-decker tour bus to hang out with his 40 anxiously awaiting VIPs. 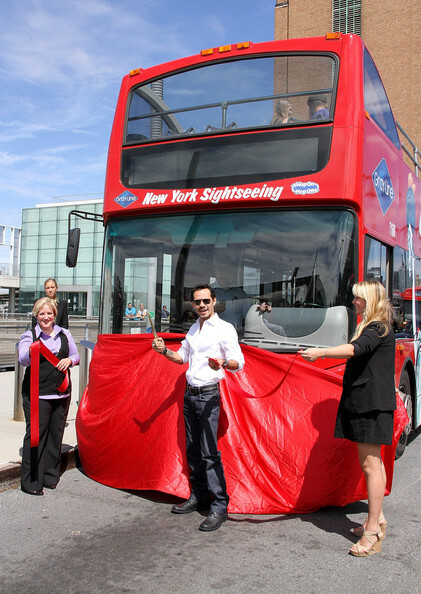 Marc Anthony on board his new bus! 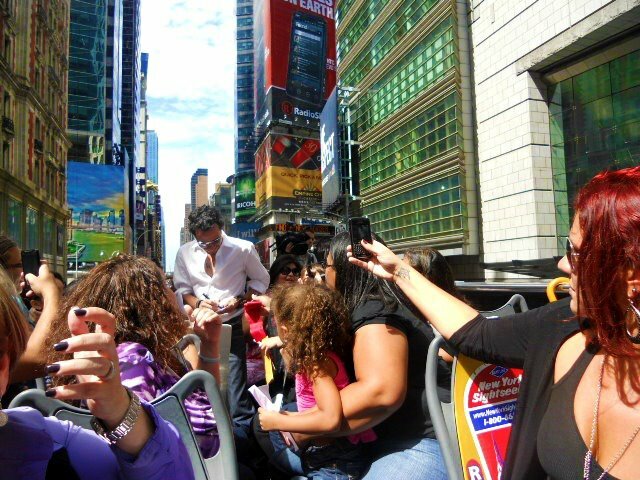 The Marc Anthony Tour Bus drove from Pier 78, through Times Square and dropped Anthony off at Access Hollywood near Bryant Park. Anthony took pictures, signed autographs and surprised his 40 VIPs with $100 Kohl’s Gift Cards to his new fashion line, the Marc Anthony Collection at Kohl’s. The front of the new Marc Anthony Ride of Fame bus. Overall, the event was a huge success! Click here for Marc Anthony’s entire induction speech. Watch the Access Hollywood interview here. 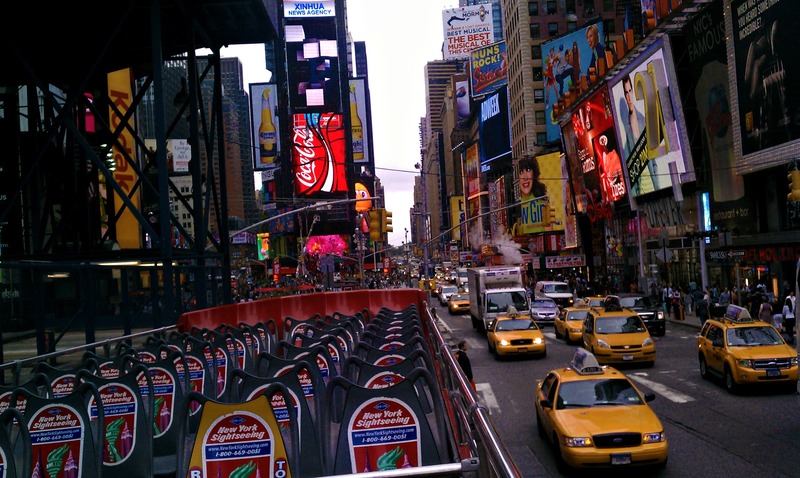 Which NYC Celebrity would you like to see get inducted into the next “Ride of Fame”? This Sunday marks the 10th Anniversary of the tragic World Trade Center attack that occurred on September 11th, 2011. Following the attacks, New Yorkers stood together to rebuild, reflect and remember one of the most tragic days in our country’s history. We at Gray Line New York are incredibly proud to show guests how amazing our city and its people are every day of the year. We will never forget. This Sunday, the National September 11 Memorial is opening its doors to families of the nearly 3,000 victims. The future World Trade Center after construction. Nearly a decade after 9/11, the Ground Zero Memorial opens to families of the victims for a special commemoration at the Memorial’s two reflecting pools located within the footprints of the former Twin Towers. President Obama, former President George W. Bush, NYC Mayor Bloomberg and other officials will attend the event where the names of the nearly 3,000 victims will be read. 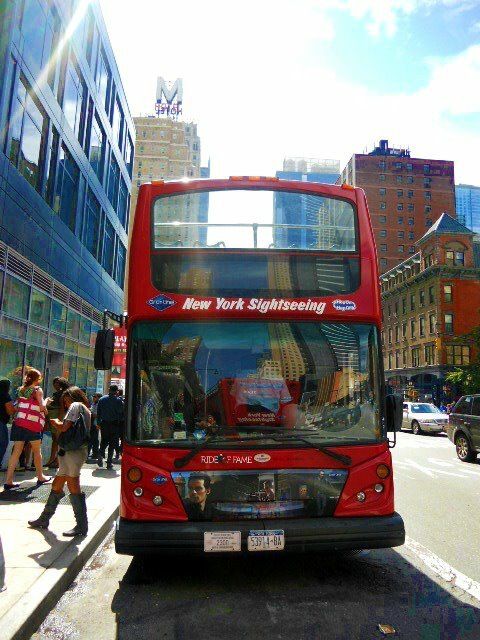 In an effort to minimize vehicular traffic in lower Manhattan, a limited number of visitor passes have been allocated to Gray Line New York on a daily basis for use with our existing hop-on, hop-off double-decker bus tour of lower Manhattan. As a result, the package described in the image above is available for groups of at least ten (10) persons. 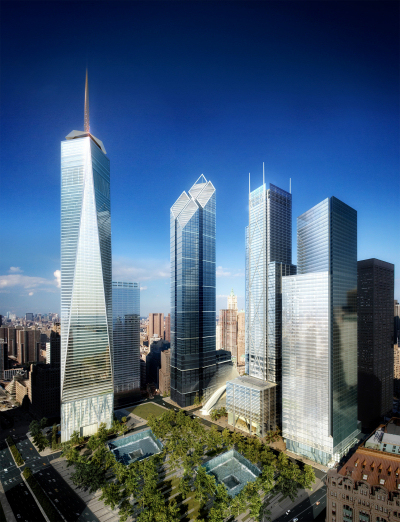 Click here for more information on 9/11 Memorial Group Tours. Click here for 9/11 Events in NYC.